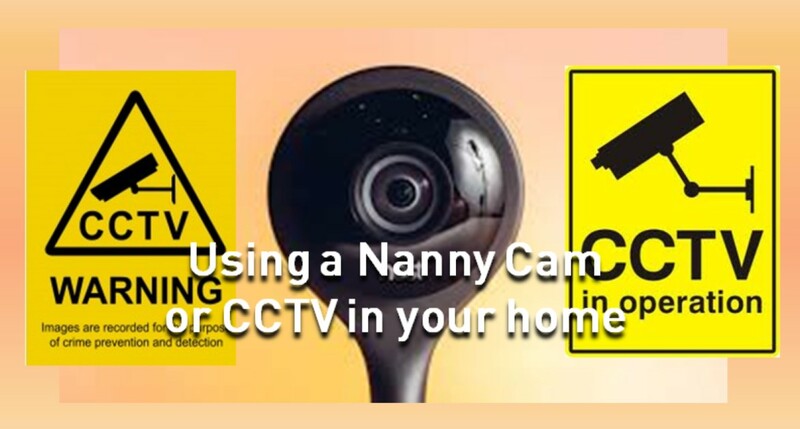 The topic of using a Nanny Cam / Cameras in the home is one which can cause confusion and sometimes upset. To help both parents and nannies we have produced a NannyPaye guide on Nanny Cam’s. As a parent with a new nanny you may be anxious about how your nanny cares for your children so being able to see what they are doing at certain times can be reassuring. Cameras can also help with home security helping to keep your property secure and if the worse does happen the cameras may record vital information that the police can use to track down the criminals. Some parents may decide to monitor their nanny without informing them that this is happening, for example, by use of hidden cameras or audio devices. This is very rarely legal. To help parents remain within the law, the Surveillance Camera Commissioner has issued guidance on the use of CCTV systems on domestic premises. As long as the cameras do not cover beyond the boundaries of your property your system will be exempt from the Data Protection Act. Registration with the Information Commissioner’s Office is therefore not necessary though you should operate your system with respect to the privacy of others. • Put up a notice informing people that recoding is taking place. • Inform your neighbour(s) about your system. • Inform your nanny about your system. • Not install a camera in a private area such as the bathroom. When a system is first installed there can be a negative view from your nanny such as your nanny may feel that you do not trust them to care for your children. Talk with your nanny about your reasons for installing cameras in your home and explain that a camera may record an incident where the nanny is accused of something they did not do and the camera footage may confirm that your nanny is innocent. Reassure your nanny that the cameras are being used for home security and that they will be on the footage recorded but such footage is not kept for a long time and will never be shared. If they are doing nothing wrong then they have nothing to worry about. As a parent would you use a Nanny Cam? As a Nanny would you be happy for your employer to install one?